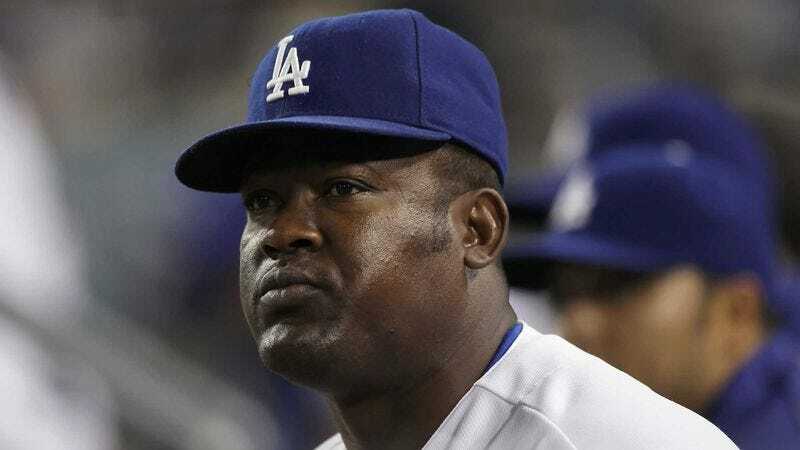 LOS ANGELES—Following his teammate Matt Kemp's walk-off home run Tuesday night, Dodgers second baseman and self-proclaimed "loner" Juan Uribe told reporters he felt uncomfortable joining the celebration without first being asked. "Maybe they don’t want me there," Uribe said, adding that while watching his teammates jump up and down, he noticed that no one asked where he was. "I didn’t have anything to do with the game-winning hit, and I don't know Matt [Kemp] that well, so I guess I don't belong. What kind of team would want to celebrate with a loser like me anyway?" Teammates assured Uribe he should feel more comfortable celebrating with the team as well as calling for pop flies and leaving the batter's box without waiting for the coach to tell him to run first.